FURminator deOdorizing Ultra Premium Shampoo for Dogs gently eliminates strong odors with a safe formulation intended for monthly use. This shampoo was enriched with baking soda and vegetable protein extract to naturally absorb odors and to help remove loose fur and thereby reduce excess shedding. The FURminator deOdorizing Ultra Premium Shampoo for Dogs is free of parabens and chemical dyes and was made here in the USA to ensure its quality. 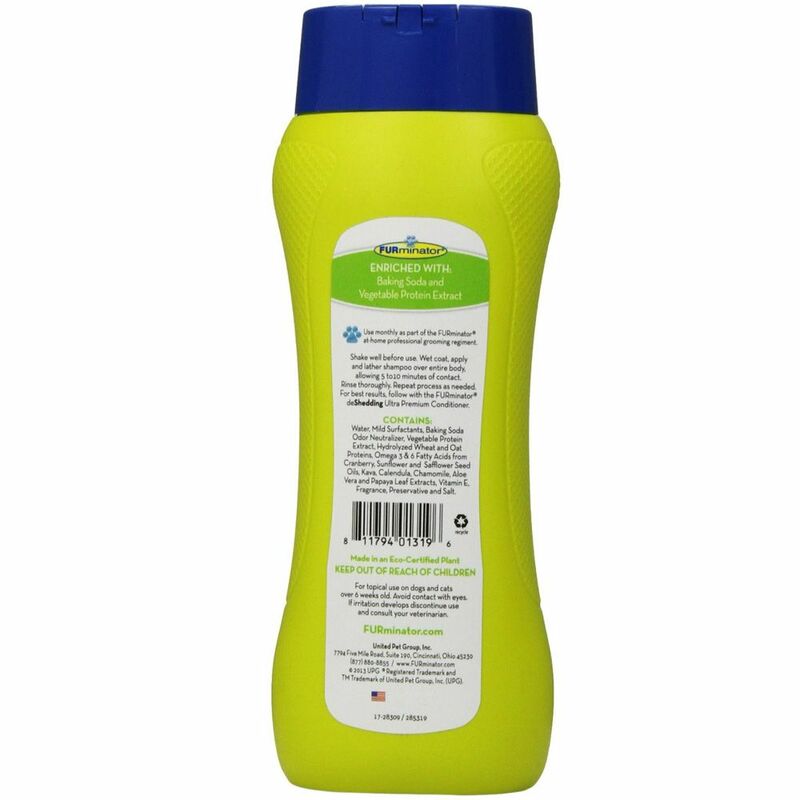 This bottle contains 16 fluid ounces of the shampoo, which is formulated to be safe for both cats and dogs over 6 weeks of age. 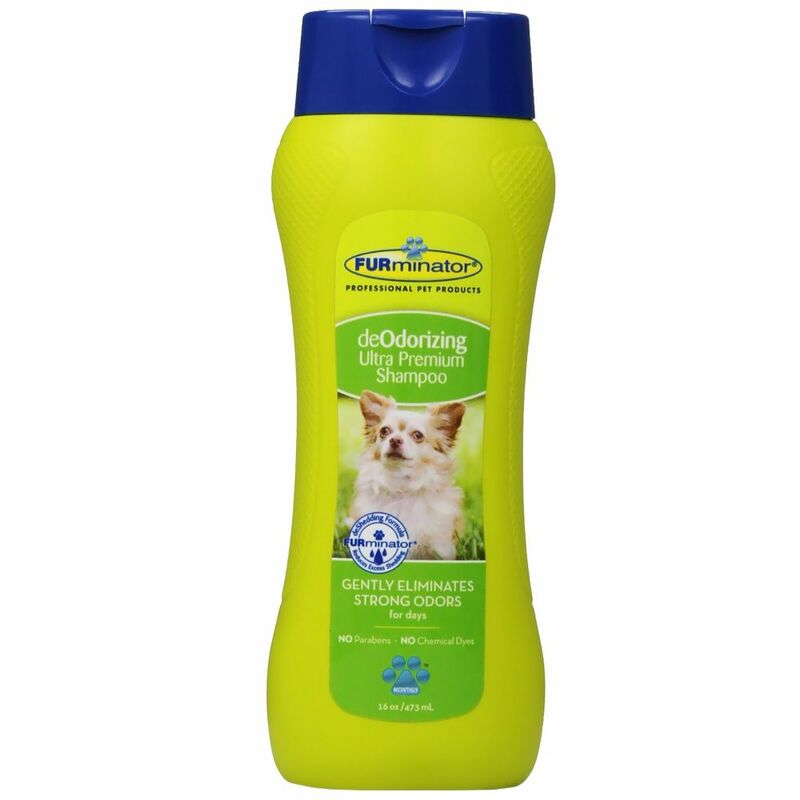 Keep your pet smelling fresh and looking great with a shampoo created by grooming experts and order this FURminator deOdorizing Shampoo today! 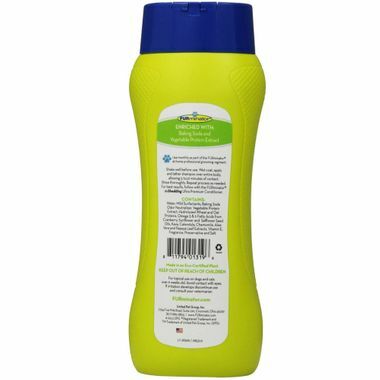 Contains: Water, mild surfactants, baking soda odor neutralizer, vegetable protein extract, hydrolyzed wheat and oat proteins, omega 3 & 6 fatty acids from cranberry, sunflower and safflower seed oils, kava, calendula, chamomile, aloe vera and papaya leaf extracts, vitamin E, fragrance, preservative and salt. Use monthly as part of the FURminator at-home professional grooming regiment. Directions: Shake well before use. Wet coat, apply and lather shampoo over entire body, allowing 5 to 10 minutes of contact. Rinse thoroughly. Repeat process as needed. For best results, follow with the FURminator deShedding Ultra Premium Conditioner. For topical use on dogs and cats over 6 weeks old. Avoid eye contact with eyes. If irritation develops discontinue use and consult your veterinarian.